VH-ANC. 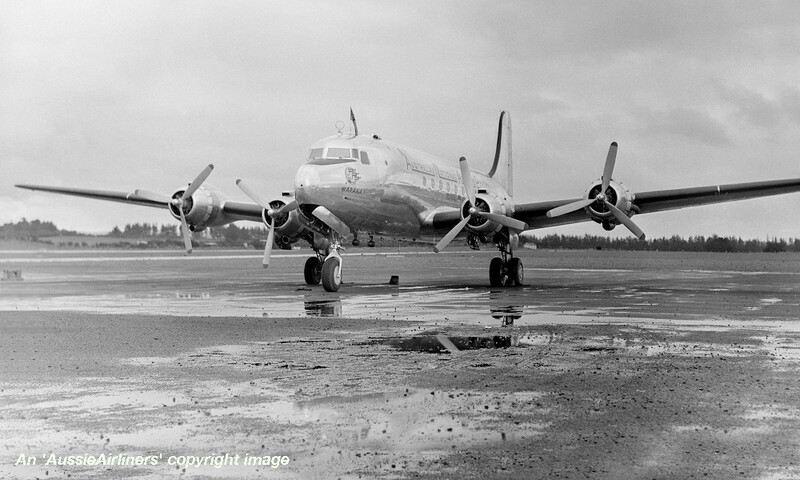 Douglas DC-4-1009. c/n 42949-16. Entered onto the Lebanese Aircraft Register as OD-ADO - ? VH-ANC. Australian National Airways Pty Ltd - 'Warana' in the original livery at Melbourne Essendon Airport, date unknown. VH-ANC. 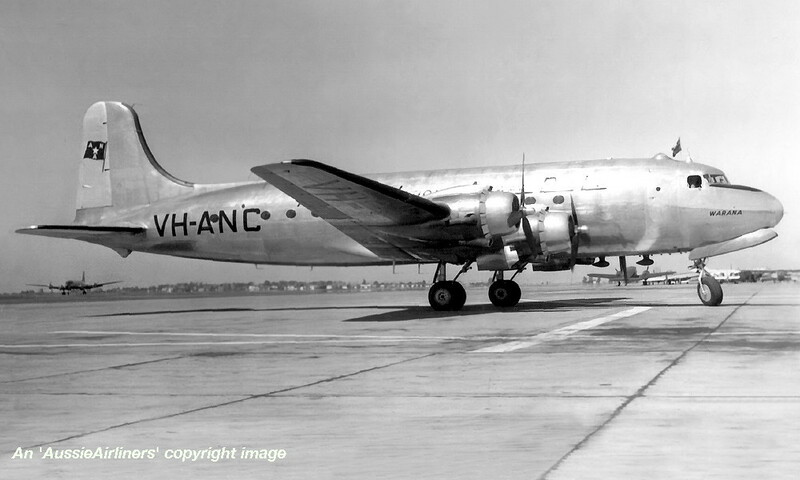 Australian National Airways Pty Ltd - 'Warana' in the original livery at Whenuapai Airport, August 26, 1947. VH-ANC. 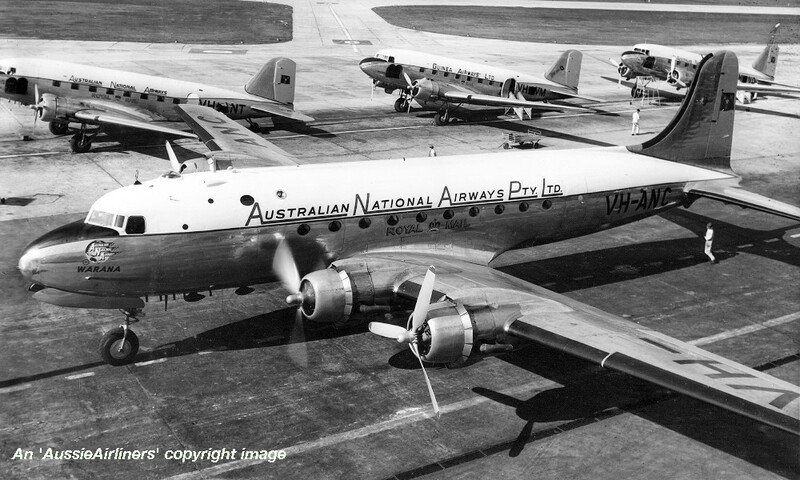 Australian National Airways Pty Ltd - 'Warana' in the revised livery at Melbourne Essendon Airport, circa 1953. VH-ANC. 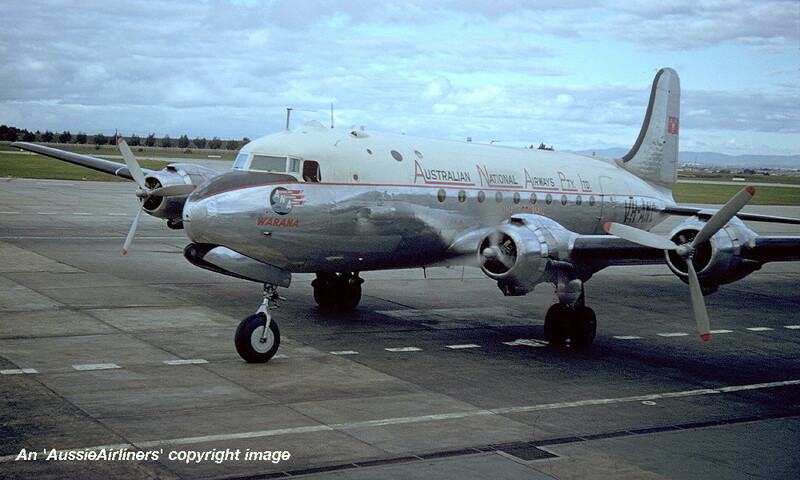 Australian National Airways Pty Ltd - 'Warana' in the revised livery at Melbourne Essendon Airport, August 1956.